Men work hard. Day in and day out they leave the home, slay dragons, and come home after a long day in the world. Oftentimes, men just want to relax in front of the TV with football and a cold beer. However, men need special treatment just like women do, and self care for men is just as important in order to rejuvenate and have the energy to continue to chase those dragons. Inner Beauty Concepts in Nashua is a day spa that will leave men feeling refreshed and rejuvenated. Below, we’ll explore some of the reasons why men need self care as much as women do and how Inner Beauty Concepts in Nashua can help with men’s spa treatments. Contact us today! Self care by definition is engaging in an activity that promotes your overall health and well-being. Self care can be anything that speaks to you, from running around the lake, to relaxing for a day on the couch with football, to having a drink at the local hangout. Taking the time to care for yourself is something many Americans (especially men) find hard to do. Americans in general feel like they need to work harder, do more, make more money, always be doing something, and have a house with a white picket fence and 2.5 kids. Because if you don’t, you’ll somehow be considered a failure or lazy. Exercise. Exercise releases endorphins, which are the feel good chemicals in your body. It also is a great way to release tension, stress, and frustrations. There’s nothing better than lifting heavy weights at the end of the day to forget about your annoying work colleague. Furthermore, exercise will help you get in shape, which is important to your overall health and well-being and improves your self-confidence so you’ll feel better about yourself. Eat nutritious food. Healthy, well-balanced, home-cooked meals not only satisfy your hunger feelings, but also satisfies your body by giving it fuel to get through your long days. Read. Whether you like fiction to escape the reality of today’s world, or you love non-fiction to learn how trains work, reading relaxes the mind and engages your imagination, renewing your faith that anything is possible in this world. Invest in massage therapy. Tension collects in your muscles, neck, and shoulders that can give you headaches and make you feel tight overall. Inner Beauty Concepts offers a variety of massage therapy to relieve your body of stress and tension and help with any muscle or joint pain you may be experiencing. One of our spa treatments includes Hot Cold Stone massage therapy that uses the power of heat to stimulate circulation and increase blood flow, which can further loosening joints, tendons, tissues, and muscles. Rest. Sleep is so important in order to heal damaged tissues, process thoughts from the day, and allow your body to rejuvenate. Naps are great ways to sneak in extra sleep time (especially on the weekend) if you’ve had a late night. Get a shave. Having someone else do your hair or shave for you is relaxing, soothing, and overall just nice. Visiting a salon for a spa treatment or the barber for a professional hair cut and shave is a great way to sneak in some relaxation time while emerging looking good. Spend time in nature. Going for a walk, visiting a lake, walking on a beach, or hiking on trails on the plains or in the mountains are great ways to relax, get in tune with nature, let your thoughts wander on the sights you see and the sounds you hear, and breathe in some fresh air for clarity and focus. Journal. Reflecting on your day can be powerful to effect personal development, self growth, and changes in your life. Journaling is a great way to record your accomplishments, celebrate your success, and create goals to strive for. Many action plans are the results of journaling. Record your blessings and gratitudes as well. Meditate. Meditation is a great way to rid your mind of negative self-talk and gain clarity in thought. Attending church, reading the Bible or other books of religion, and praying are great ways as well to find inner peace and harmony. Invest in relationships. Having your “guy time” is super important to just chill, talk about work and life with the guys, and have fun together bowling, playing basketball, fishing, or riding ATVs together. Find others with similar passions by joining groups and attending events. Find a new hobby. As we age, many of us find ourselves looking for something new to try. Painting classes, hiking clubs, pickleball, or a writing group are great ways to try something new, meet new friends, and learn from someone else. Compete. Let’s face it, who doesn’t like to win? Run a 5k. Get a team together, and do a Spartan race. Join your company’s flag football team or softball team. Join a bowling league. Competition boosts your self confidence, gives you a rush of endorphins, and you gain a sense of accomplishment. Spend time with the fam. Kids grow so fast that before you know it, you’ll be an empty-nester (even if you don’t believe it today). Make sure you are spending quality time with your kids doing things they enjoy doing. If your son loves sports, play pitch and catch with him in the backyard. If your daughter loves gymnastics, learn handstands (no, you’re not too old). If another child loves to run, run with him or her. If puzzles is your child’s jam, put puzzles together. Creating memories is what parenting is about, so much so than the daily care that is required. Memories is all your child will have one day of you, so make them good! Learn to say no. Men especially have a lot of demands on them outside of work. Your work colleague needs help moving, so you lend a helping hand. Your neighbor can’t figure out his carburetor, so you help. Your child needs his or her bike fixed. Your cat ran up a tree and can’t get back down. It’s natural to turn to men when something physical needs to be done, and some of the best things in life is helping others. However, there are times when you are physically exhausted and just need to rest on your Sunday afternoon. It’s okay not to attend every social function or event and to say reschedule a mechanical fix for another day. If you don’t have a pet, get one! There are so many animals that need a home and if you have one to give, consider adopting a pet, especially an old one. It’s a proven fact that pets offer stress relief, companionship, and loyalty, and those with pets tend to live longer and live happier lives. You can make a cat or dog’s last years happy ones. Both men and women need self care and need to make it a priority in their lives. When you take the time to do something for yourself, you’ll feel better, be happier, and live longer — which benefits your family most of all. Inner Beauty Concepts in Nashua offers men’s spa treatments. We offer all types of massage to cater to your particular needs, from deep tissue massage to get out lingering knots to invigorating salt scrubs to help remove dead skin and rejuvenate your body. We offer customized facials for men, which will vary depending on the shape your skin is in. Our aesthetician will analyze your skin and offer up a custom facial treatment to give you an amazing complexion and help all of the muscles in your face relax. Your aesthetician can advise you on a custom skin care routine and custom skin care products as well. Inner Beauty Concepts has partnered with some amazing skin care companies to bring you what we feel is the best in skin care products. Your skin, just like your heart, your lungs, and your muscles, needs care. By offering you skin care products that are all-natural, we hope to find the right combination for your skin type and skin conditions. Our licensed and trained aestheticians are here to help tailor skin care products for you. Inner Beauty Concepts in Nashua also can clean up your look. From eyebrow waxing to nostril trimming, we offer up services to remove or trim unwanted facial and neck hair in hard to reach areas. If you’re suffering from pain, foot reflexology may help. Different than foot massage, foot reflexology is where certain points (known as reflex areas) are stimulated on the foot to affect other areas on the body, helping relieve pain. Gentle pressure is applied on these reflex areas to help remove energy blockages and promote overall health. Combine reflexology with massage for an amazing day of self care. Nothing is quite as enjoyable as sharing a nice, relaxing day with a loved one. Inner Beauty Concepts offers couples massages as well, so you and your spouse or significant other can enjoy a day unwinding together. 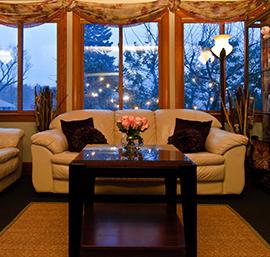 Inner Beauty Concepts proudly serves the Nashua area with amazing spa treatments. We hope to restore inner glow by making your outward beauty shine. We’ll help relieve pain and tension, so you can focus on the daily grind. Visit our site regularly as we offer monthly specials on all of our amazing spa services. If it’s your birthday, let’s celebrate! We offer various birthday specials so you can choose your favorite spa treatment on your special day. Our mission is to have you leave our spa treatments feeling healthy and rejuvenated. Finding tranquility is hard to do these days. 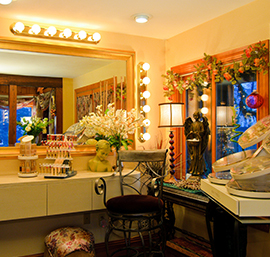 Inner Beauty Concepts in Nashua offers a place to find your inner sanctitude. Call and make an a spa appointment today!